Model DT72B is an inductive voltage divider that meets or exceeds all of the requirements for a calibration standard in precision measurement applications. 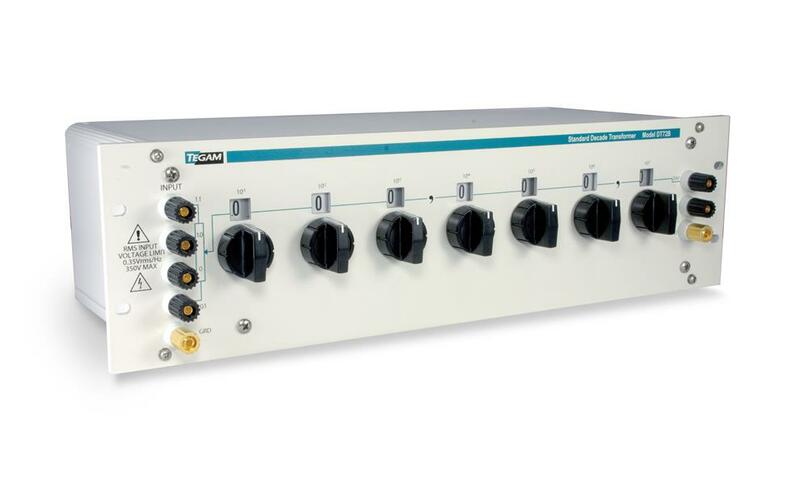 It is easy to integrate into systems for calibration of voltage dividers, transformer standards, synchro/resolver standards, transformers, calibrators, ammeters, and voltmeters. It can also be used to make impedance or capacitance comparisons. The ratio accuracy is traceable to the National Institute of Standards and Technology.